All the newsletters published by the Branch since it formed in 1984, up to 2010. £5.00 (including P&P) per CD. If more than one CD required, please contact the Publicity Officer (details on the Committee page) for cost. £8.00 (£7.00 to Branch members, please submit Membership Number) plus £1.50 P&P per book. Details of all the butterflies found within the current county boundary and Peterborough and includes distribution maps for all the current species. 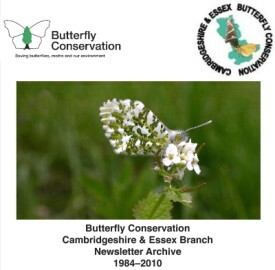 The distribution data has been collected over a 15 year period (1990-2005) by members of the Branch and other volunteers who have recorded all butterflies seen. The area does still retain several rarer butterflies including Black Hairstreak whose distribution seems to be fairly stable. 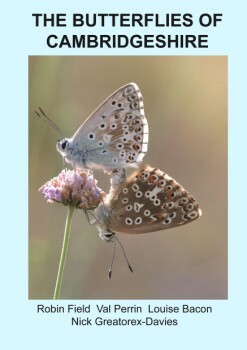 The Dingy Skipper and Grizzled Skipper are both at risk of being lost and the Small Blue has not been seen since 2004. The once common Wall now has a very restricted distribution and may be in danger of being lost to the county in the future. On the positive side the Chalkhill Blue is now very common on the Devil’s Dyke and has spread to the Fleam Dyke and the Marbled White now seems to be slowly spreading in the county. Two high profile butterflies, the Swallowtail and the Large Copper, have also been lost to the county over the last 20 years. These populations had both been previously re-introduced to Wicken Fen and Woodwalton Fen respectively. A chapter within the book charts the important work which took place at the Monks Wood research station in devising and running the National Butterfly Monitoring Scheme (BMS). The BMS was based on transect walks, which are walks over a set route and completed once a week from April to the end of September when the weather is suitable. 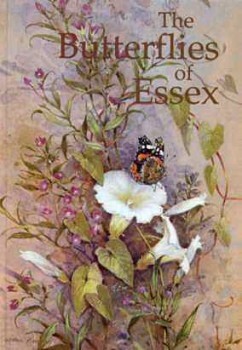 This was trialled within the county in the early 1970s and several of the most important and long running transects such as Monks Wood, Castor Hanglands and Holme Fen are within the county. In total there are 14 BMS transects, 11 of which are still running, 9 for more than 26 years as well as 29 other transects within our area.